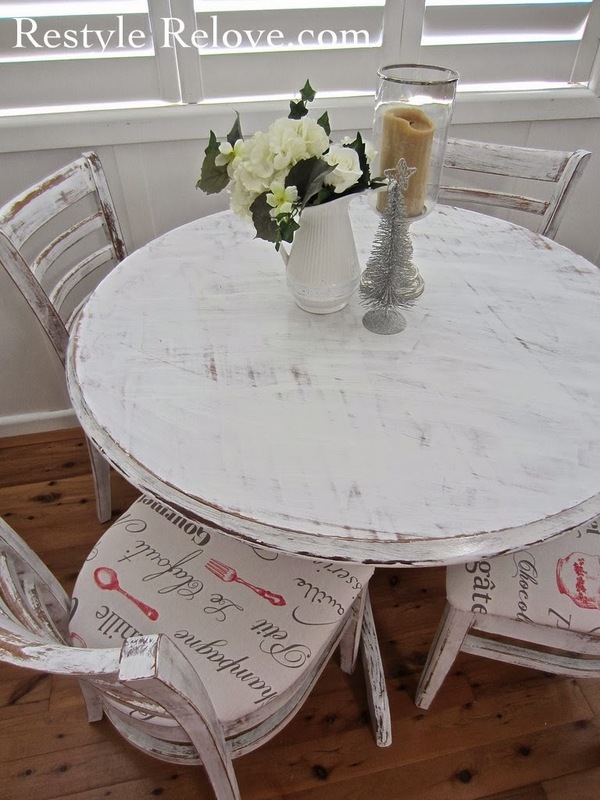 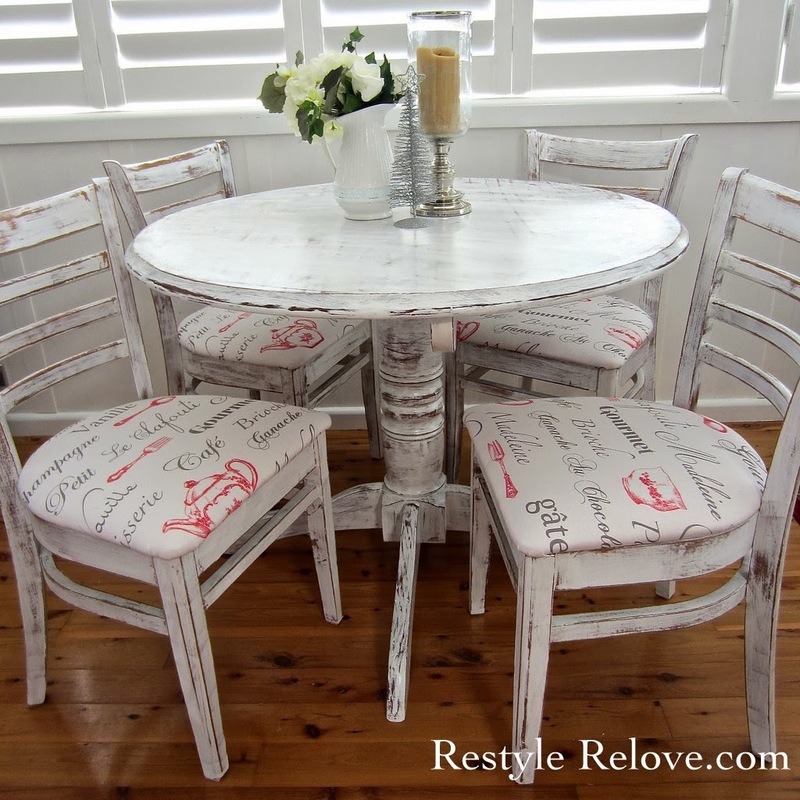 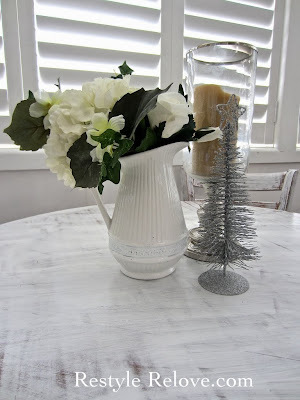 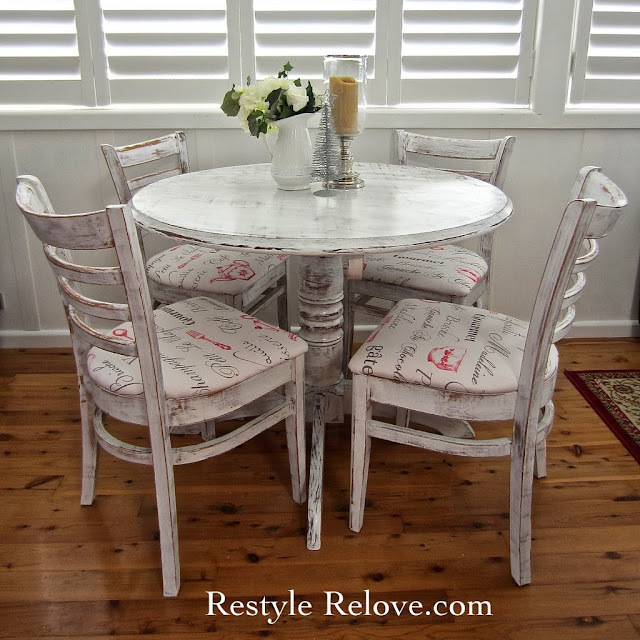 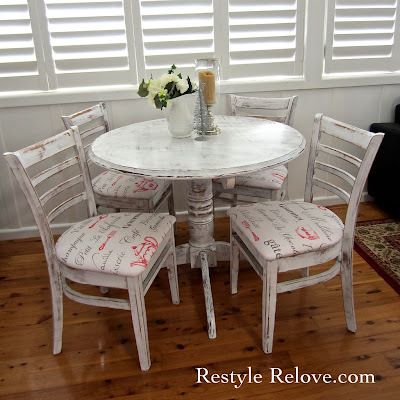 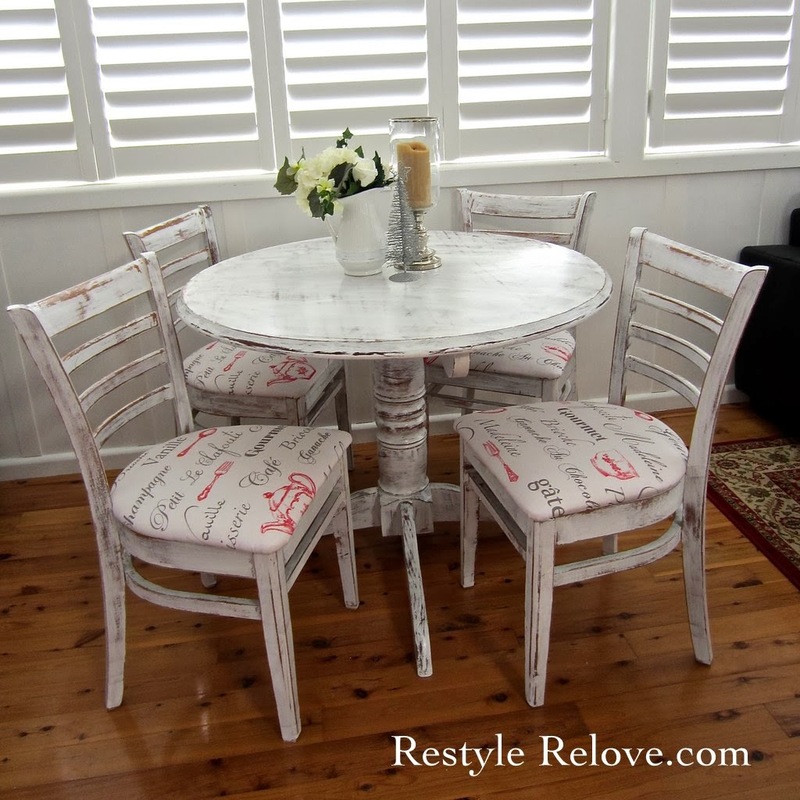 With the help of some white chalk paint and distressing, I achieved a beautiful French Shabby Chic Farm House style look. 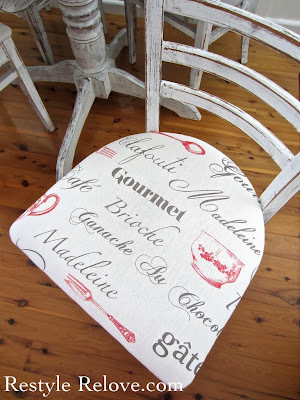 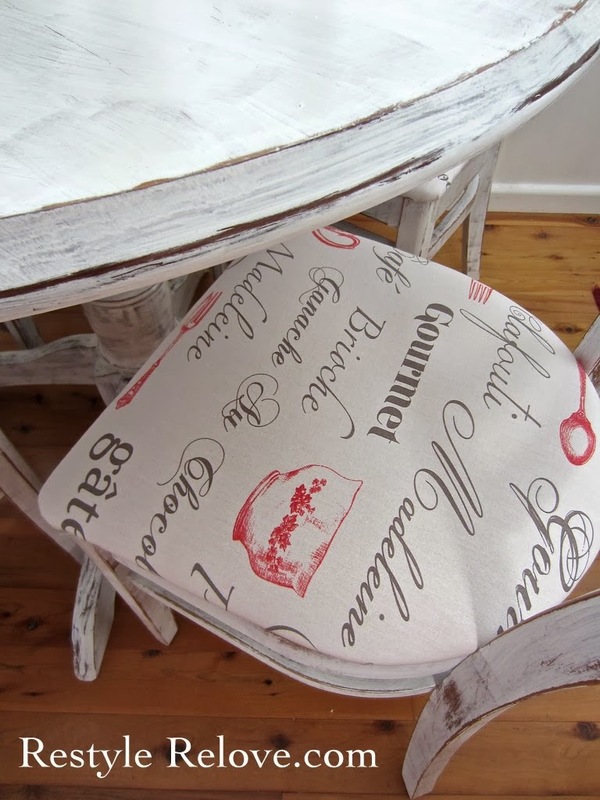 I fell in love with the French Cafe style fabric I found at Spotlight. And it was perfect for reupholstering the chairs. 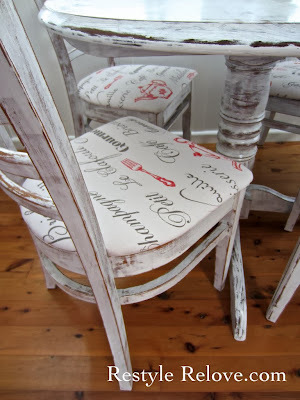 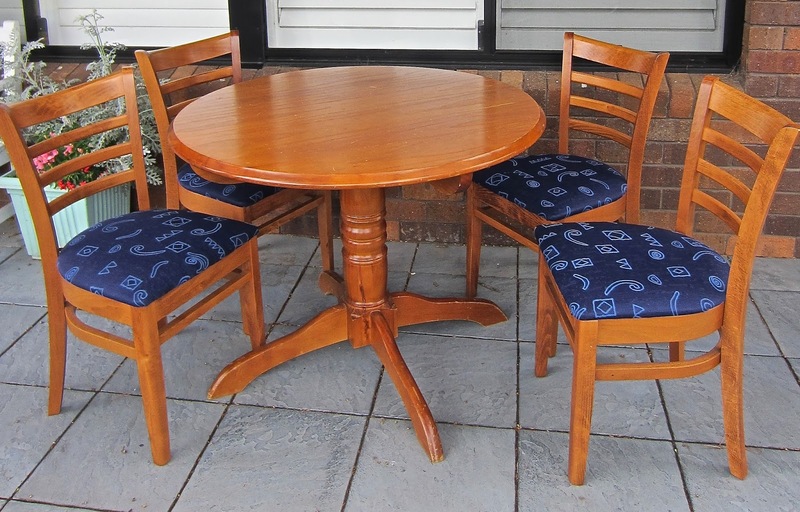 I loved the curvature of the chairs, and almost kept them for myself! AND they are SO comfortable. 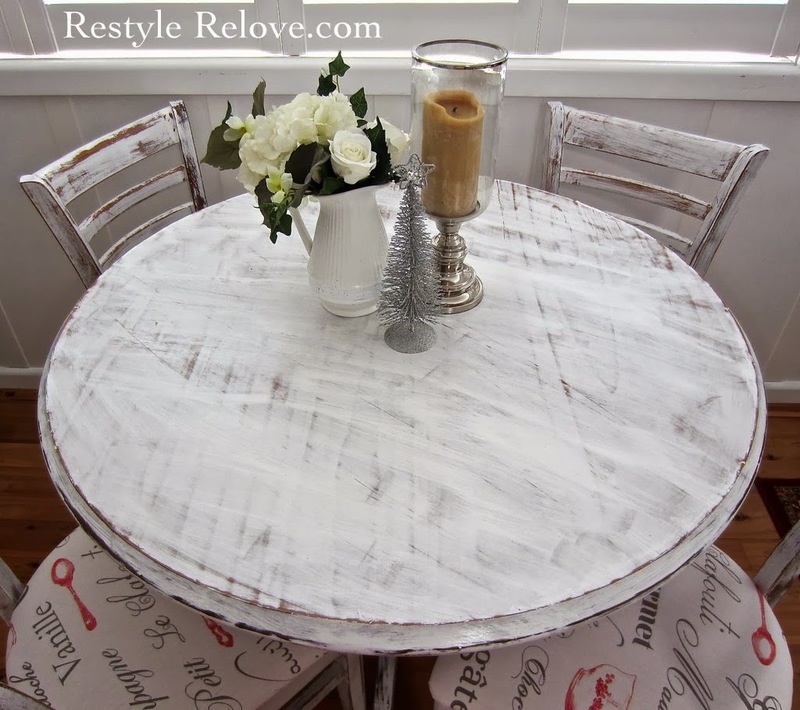 After applying two coats of clear varnish to everything, she really sparkles!